There are different kinds of people in the world. Each and every person has a difference in his/her attitude. Attitude always play a major role in our daily life. Positive attitude helps to cope more easily with the daily affairs of life. It brings optimism into our life and makes easier to avoid negative attitude. Every person has a positive attitude but the fact is that most people are influenced with negativity each day. It’s easy to tell everyone that “Her/His attitude is negative..!” Then why don’t such people question themselves, “Am I a person with positive attitude or not?” In reality, the negativity is influenced by the personal perspective on life’s realities. The behaviour of people with negative attitude comprises of factors like Fear, Arguments, Worry, Blame, Criticism, Complaints, Jealousy etc. Think about your ultimate Goal. Say to yourself some positive thoughts and repeat them often. For example a thought like “I CAN DO IT”. Believe in yourself and have faith in you. Never compare yourself with some other person. 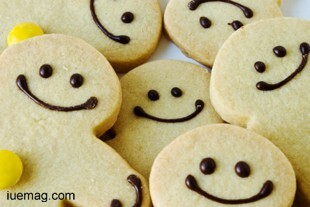 If you are sad, Smile..! If you are happy, Smile..! It makes you a happier person and makes other person have a better impression on you. Avoid negative thinking which will help you to modify your behaviour. Positive thinking always leads to success. Still, if you have fear of failure in some race, think positively before you start your race - “I have done everything to get ready for this race, and if I win everything would be great. Even though I don’t win it, my friends will still be my friends, my enemies will still be my enemies and the world will still be the same”. In life everything happens for a reason; we should be capable enough to handle hard situations by loving them and should learn new lessons from them. Always make your smile change the world; don’t give an opportunity to the world to change your smile. There was a famous quote by a retired American football player Lou Holtz regarding positive attitude. He stated, “ABILITY is what you are capable of doing. MOTIVATION determines what you do. ATTITUDE determines how well you do it”. So, slways THINK POSITIVE, DO POSITIVE & BE POSITIVE..! Shruthi Patnam is a contributing writer at Inspiration Unlimited eMagazine.